Do you feel enslaved by a job without meaning? You can change this in an instant, but before you do this, let me ask you a different question: Do you ask God what is your heart’s calling, your dream and your life’s purpose, and then listen to the answer in honesty, humbleness and Truth? Your job today and your destiny have nothing in common. If you come before your Heavenly Father and ask “What is my purpose, how may I be of service to others in the way I truly value, in the way You want me to?” you will receive the answers and you will discover your destiny, regardless of the work you have to do today. If you don’t know the answers to these questions, or don’t even ask the questions, then life itself seems to have no meaning. Your job by default becomes the master and you are its slave. Once you know the answers in your mind and heart, even if you have to stay in your job for a while, the job becomes the stepping stone towards your destiny, the provisional way to pay for your dreams. You become the master, and everything you do becomes the slave towards you fulfilling your destiny. You can take every dollar you make in your job to buy books to learn how to make your dreams a reality, or to invest in your future. Meaning in life comes from doing the will of God, which is the same as your will when you act in Love, in Spirit and in Truth. 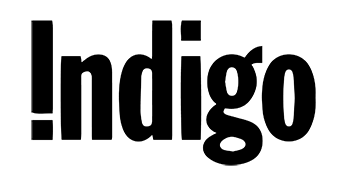 PS: If you enjoy these conversations, subscribe below and get the most inspiring stories of the week straight to your Inbox. 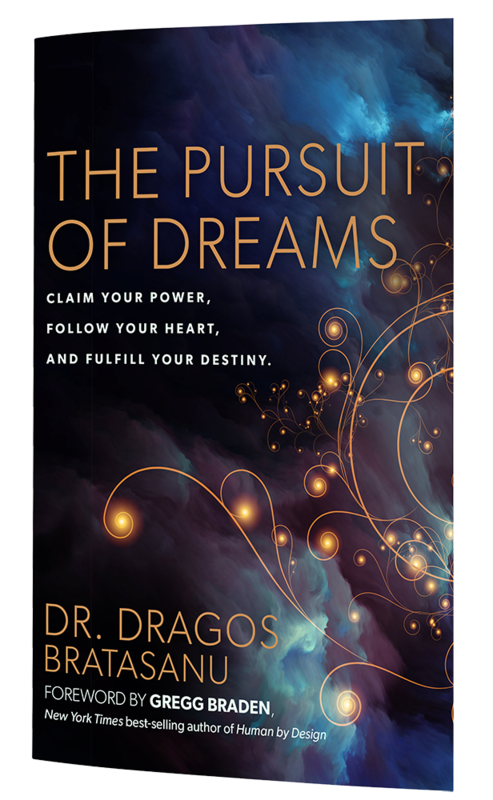 Why is it that in your heart you feel you have a calling, you know you are destined to do far greater things than you are doing now, yet the very same dreams seem difficult if not impossible to achieve? Why following your heart and making your dreams a reality is hard for you? 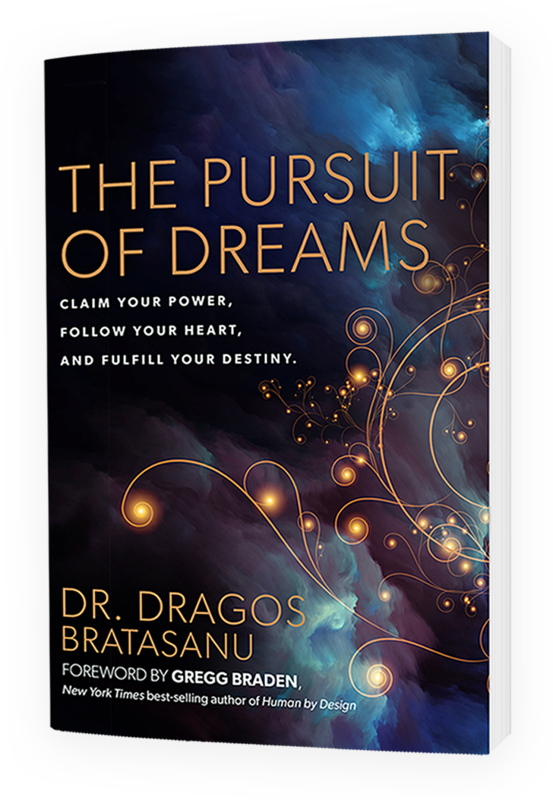 I will share with you an insight, and if you grasp it and understand it, your entire world will fall into place: You have dreams, you have a calling and a destiny to fulfill because of who you will become in the process of defeating the resistance to make them a reality. Being a skeptic is easy. Being a skeptic is probably the easiest thing in the world. And the dumbest. You believe only what you see, and reject as impossible everything you do not see. Every fool is a skeptic. You trust only your senses, and regard as insane those who rise above their senses to live in Spirit. Having faith is difficult. Having faith is probably the most difficult thing the world. And the wisest. You believe in what you do not see, you trust in the potential and the possibility. Every visionary has faith. You trust God and your divine source, and your bring into reality something available only in Spirit. 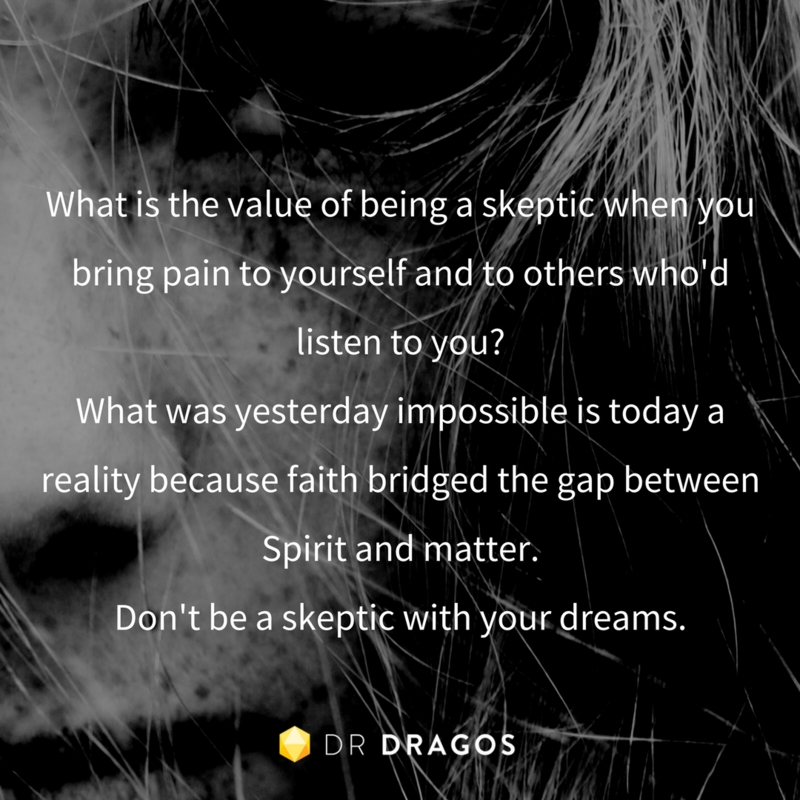 What is the value of being a skeptic when you bring pain to yourself and to others who’d listen to you? What is the gain of dragging people into darkness simply because you cannot see what few others can? What was yesterday impossible is today a reality because faith bridged the gap between Spirit and matter. P.S: If you enjoy these conversations, subscribe below and get the most inspiring stories of the week straight to your Inbox.